Musa, magic Dryade of the Dolomites. 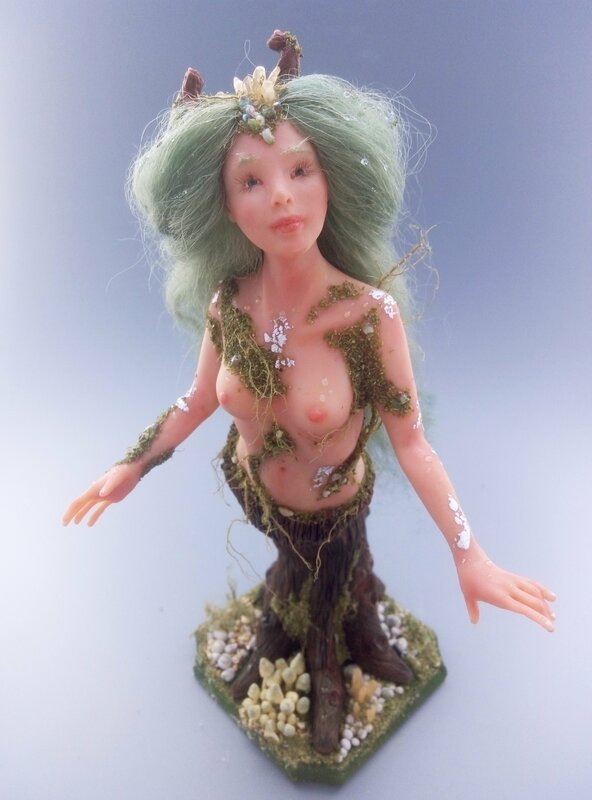 Made from polymer clay (Fimo mix art doll, supersculpey, cernit), hand-molded using molds. The eyes are hand-painted and inserted, the lashes are applied one by one. Painted with chalk and oil paints Genesis. Tibetan lamb hair. Decorated with mosses and lichens real silver leaf. Adorned with a diadem of true natural crystals, gravel and iridescent pearls. 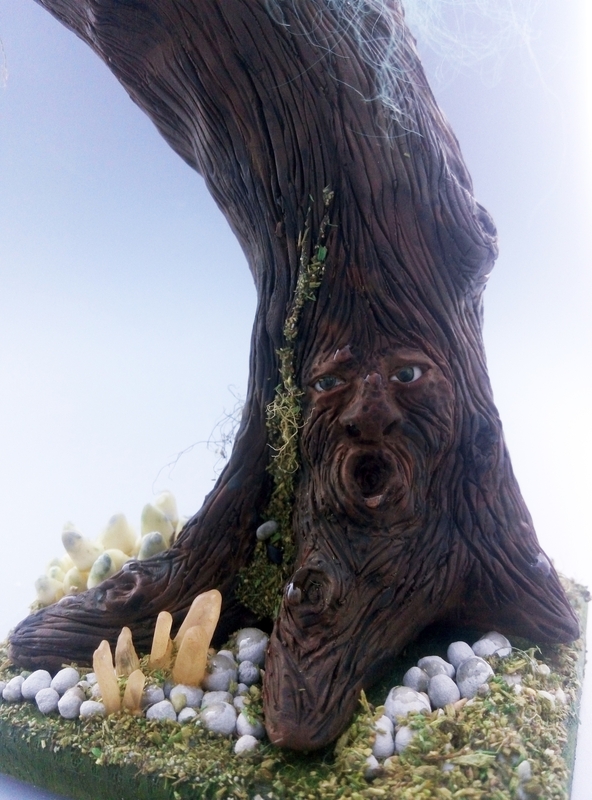 The trunk and 'polymer clay, the tree has always face the inserted eyes. Base in wood decorated with mushrooms in the dark luminescent polymer clay, gravel, synthetic grass and true micro crystals. Dimensions: H 27 cm - base 10cmx10cm.